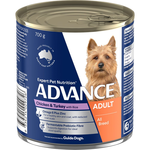 This super premium, Australian made, canned dog food is complete and balanced to support the health and wellbeing of your adult dog. 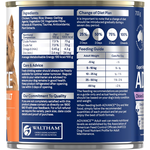 It is fortified with beneficial nutrients including antioxidants to help strengthen the immune system, zinc and linoleic acid for healthy skin and a shiny coat, as well as prebiotic fibres to promote healthy bacteria in the gut for better digestive health and smaller, firmer stools. 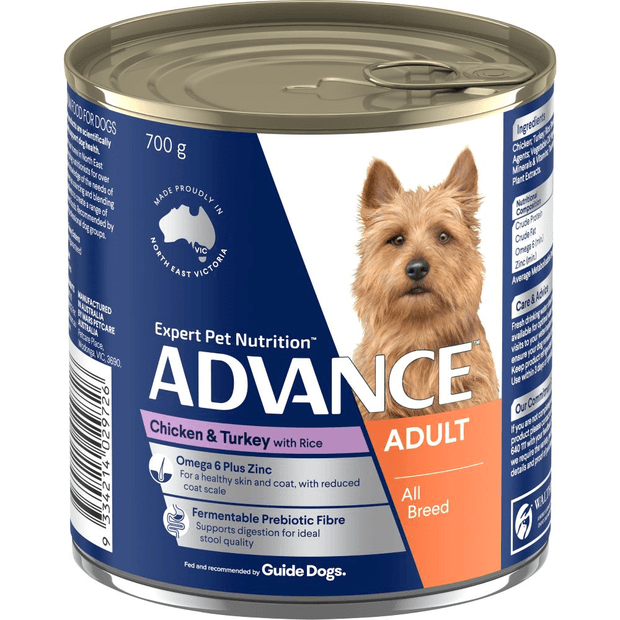 Advance Adult All Breed Chicken, Turkey & Rice contains controlled levels of minerals and is highly digestible to help reduce the risk of lower urinary tract disease. 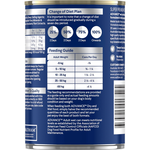 Chicken; Turkey; Rice; Minerals (Tri-Calcium Phosphate, Zinc Sulphate, Manganese Sulphate, Potassium Iodide); Gelling Agents; Vegetable Oil; Vegetable Fibre; Taurine; Vitamins (E, C, B1, B5, B9, B6, D, B12); Plant Extracts (Marigold Powder, Tomato Powder, Lucerne Meal); Choline Chloride. Super food!!! My fussy Soren loves this one!!!! 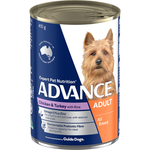 So hard to get him to eat some days. But always gets stuck into this one!!! !